With iOS 7, Apple is finally fighting back against spam, offering the option to block certain phone numbers from sending you text messages or iMessages (plus, phone calls and FaceTime too). 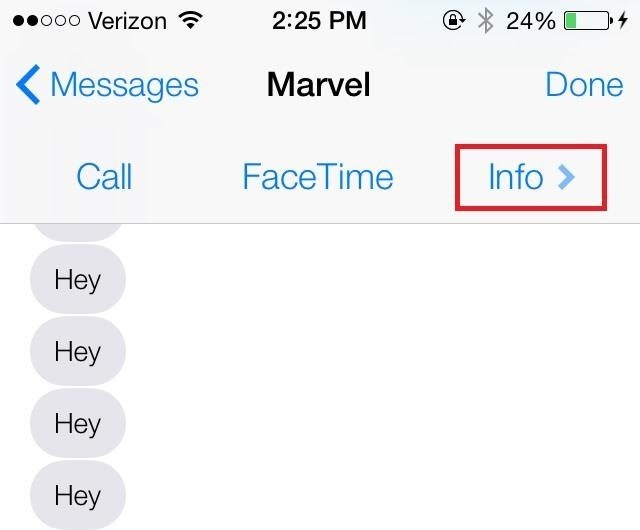 With this new feature, you can block telemarketers, spammers, and their ilk from spamming you with annoying texts. Just keep in mind that this will only block them once they hit your phone, not your carrier, so if you have to pay to receive a text, it'll still show up on your bill. The feature also comes in handy if you have enemies who like to harass you via SMS, or maybe an annoying friend who keeps text-bombing you. 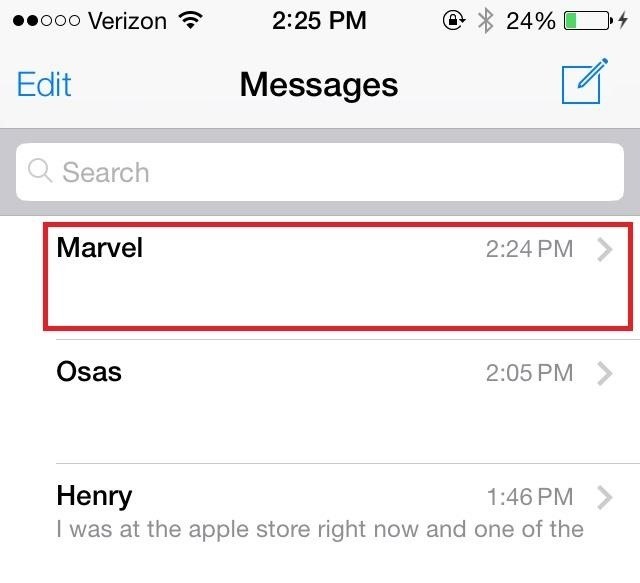 Blocking text messages in iOS 7 is a pretty simple process, but there are a couple of ways you can go about it. 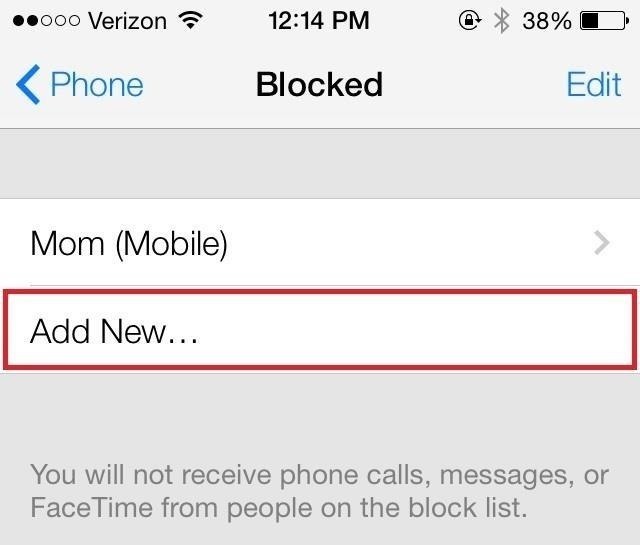 If someone has recently been sending you harassing or annoying text messages, you can block them directly from the text message app. Launch the Messages app and select the person you want to block. Tap on Contact and then Info. 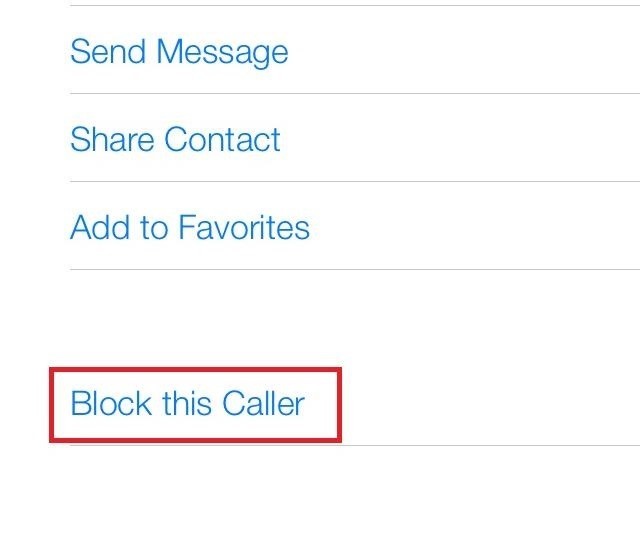 Scroll down and tap Block this Caller. If someone you've blocked sends you a text message, it will show it as "sent" on their device, but you will receive nothing. If you want to block text messages from a number that hasn't sent you any messages recently, you can block it from your Contacts list instead. 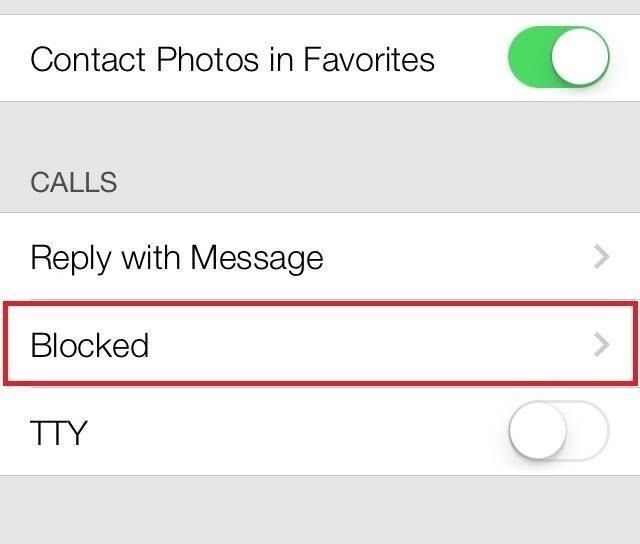 Search for and tap on the contact you'd like to block from your contacts. Now those annoying text messages from telemarketers, spammers, crazy people and your parents are a thing of the past. 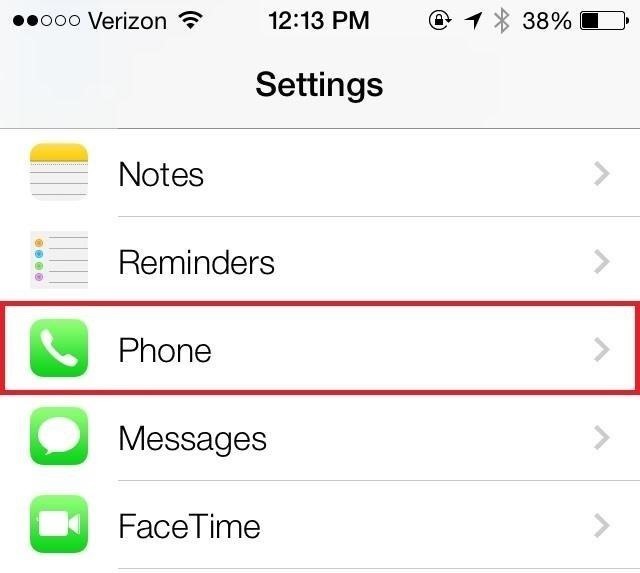 If you want to block numbers from calling you or sending you FaceTime requests, check out this tutorial. There's a lot to learn about the new iOS 7 for iPad, iPhone, and iPod touch, so make sure to visit our iOS 7 tips section to explore all of the new features and hidden tricks. Also make sure to check out the 15 most annoying things, 18 coolest new features, and 18 sneaky privacy-betraying settings in iOS 7 that every iPhone user should know about. Hi. Is it possible for me to block the operation of me sending text messages to somebody? I keep sending messages to a friend, she does not receive them but she receives the messages sent from another phone of mine. Also other people are receiving my text messages, so there is something about connection between me and her. Would it possible that somehow I activated an option that not allows me sending her text anymore? BTW, we've checked her phone, she did not block my number. Txs! I suspect it could be an issue with iMessage, which has been buggy since the new update. You could check out this article, How to Fix Delayed iMessages & Text Messages After Upgrading to iOS 7, where there are helpful comments that might solve your issue. Help being harassed through texting? I have a spammer who is persistent and somehow send a false phone number that keeps changing and it is 16 numbers long and sometimes it says spammer. They keep sending me an add to buy sun glasses. How do you block that? 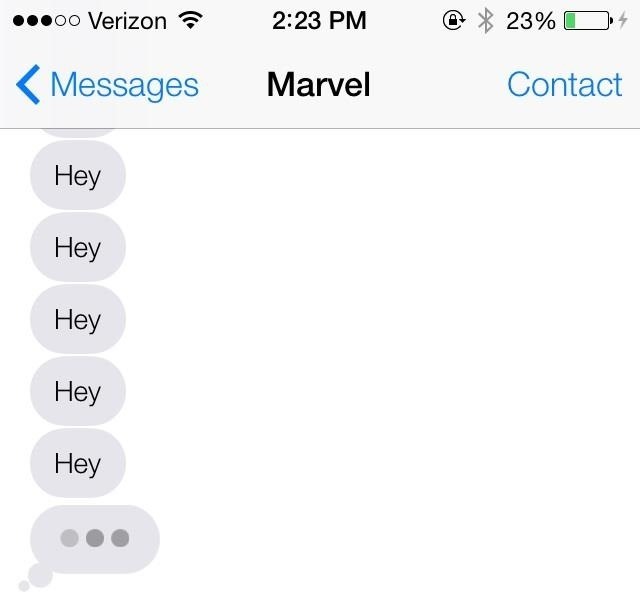 When you unblock someone can you see or receive the texts they tried to send? What if the people harassing you are using a texting app that allows them to continue changing their number in order to harass someone? Does anyone know of an app that can and will block anyone not in your contact log? My 17 year old daughter has been getting harassed for over a year and after changing her number multiple times and they somehow continue to get her number.